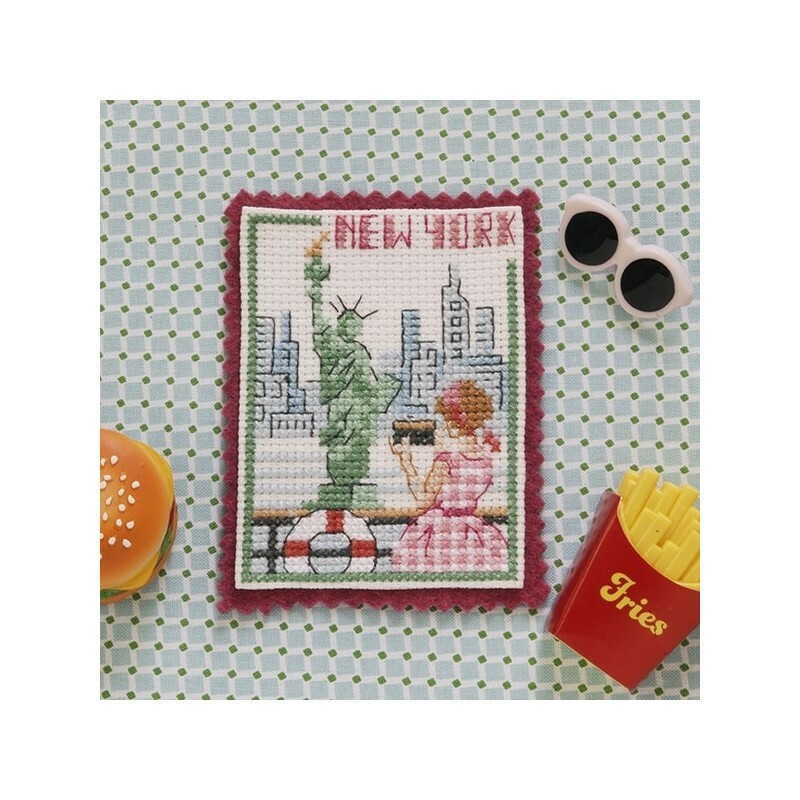 From the Mont Saint Michel to the Alps, Nice to New York, in a camping car or on a bike, in bikini or pareo, here are 34 different embroidery patterns to summon up the holidays. 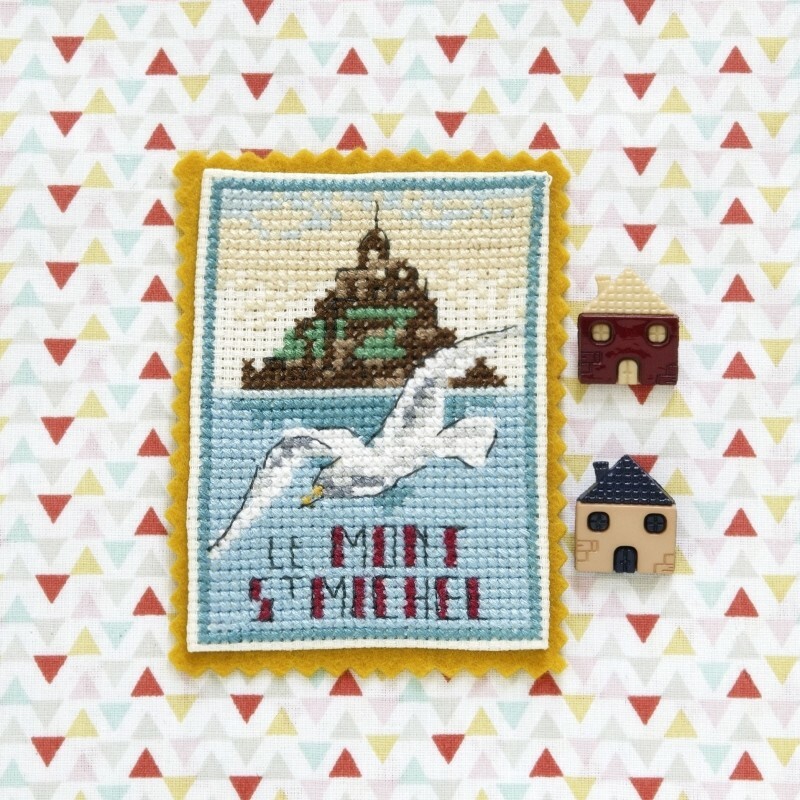 It’s a world of escape, in a charming, small format that can be embroidered or endlessly swapped with other enthusiasts. Don’t know about the Artist Trading Card ? Find out all about it under "More Information" below. 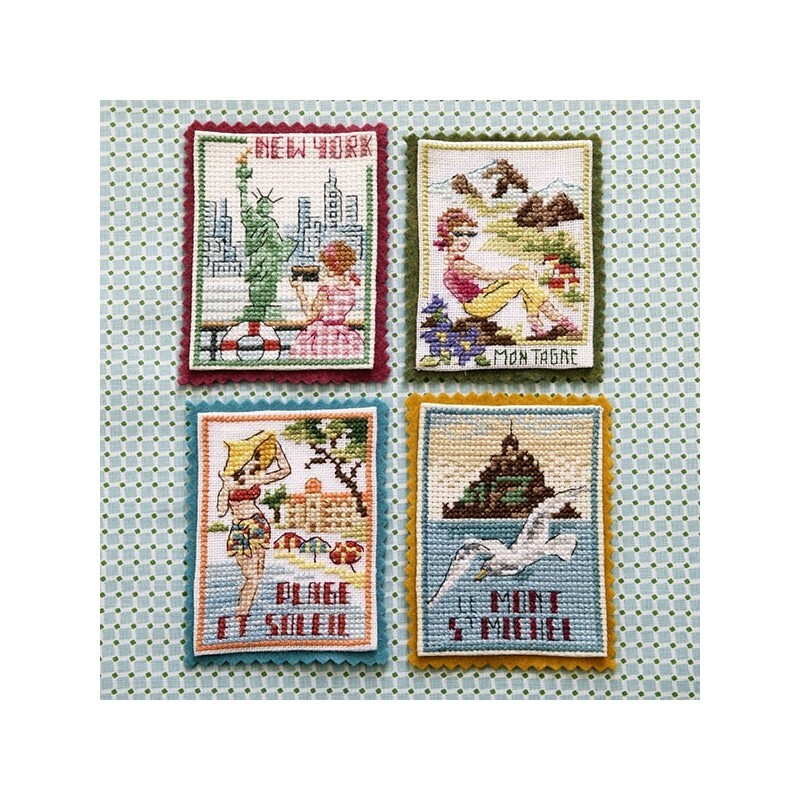 These very small format embroideries - only 46 x 32 point - are designed to be swapped between different embroidery enthusiasts ! 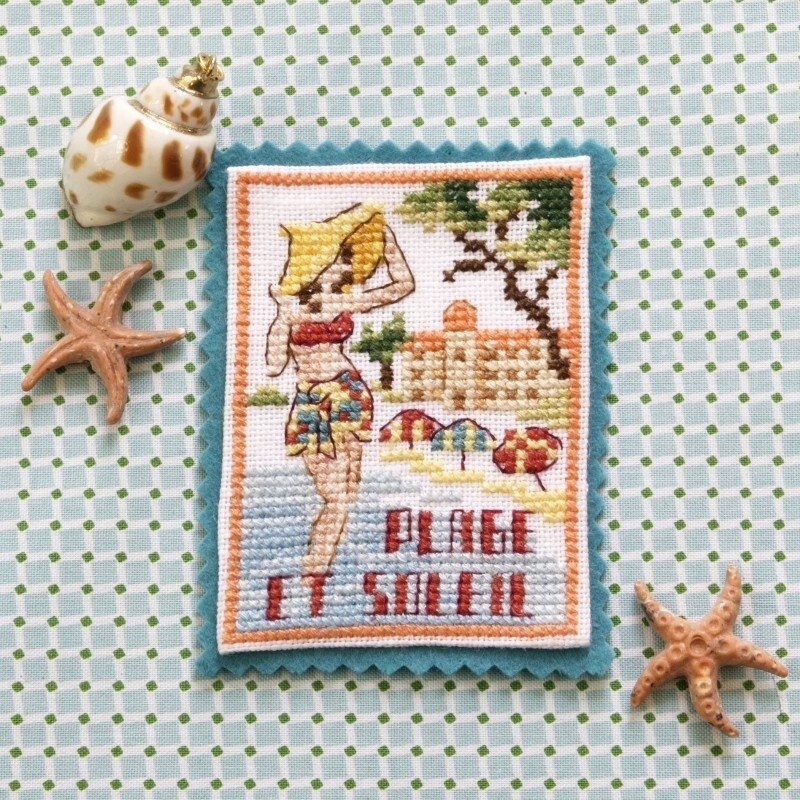 You can send or give your embroidery to a friend and she can give you hers ! 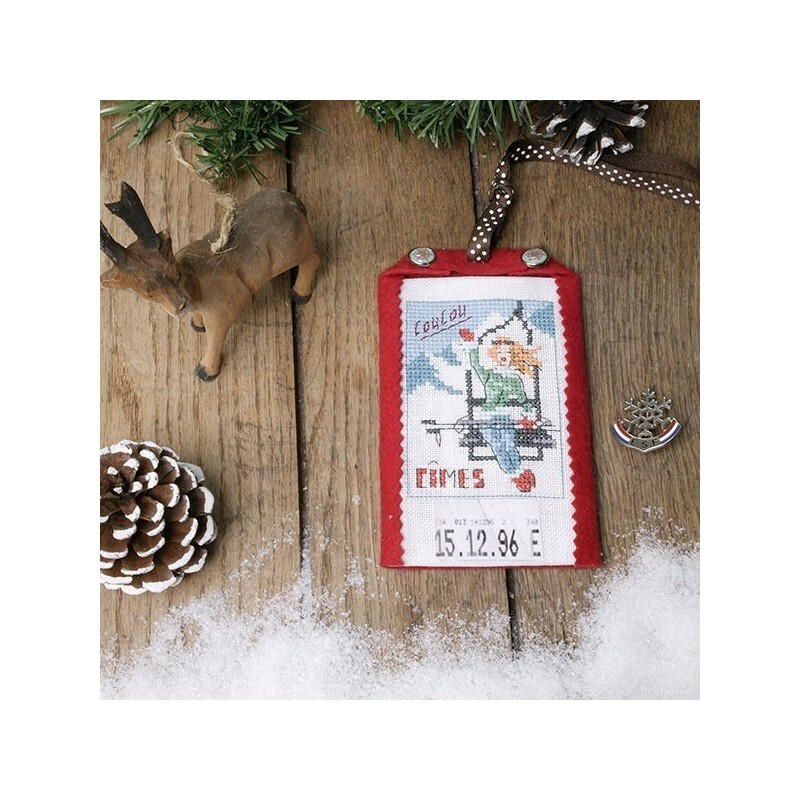 The name of the work, the date it was completed, your name and postal address (or e-mail address) should be written on the back of the card. It is particularly important that you sign the card. 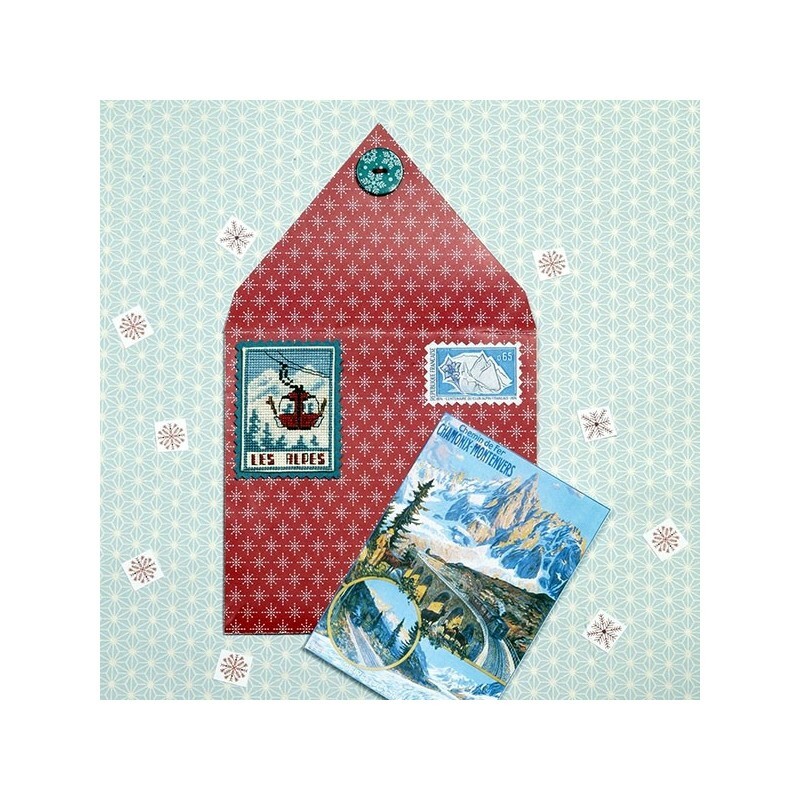 All this information is written on a small cloth label that is delicately sown onto the reverse side of the embroidery. 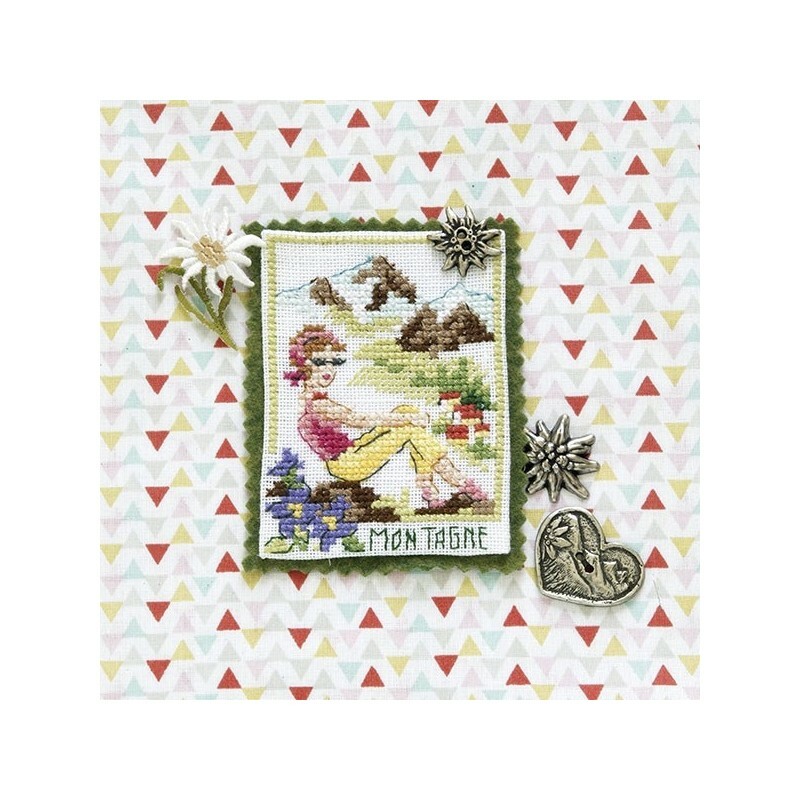 The «Vintage holidays» story comprises 34 different patterns and a mini-alphabet so that you can give a personal touch to your embroidery work. It is printed on thick paper 160g, 8 pages, with symbols and colors (Ref. DMC). Made in France.